If is it your dream to own a boat in the sun, we can offer you a route to carefree yacht ownership. You may be worried about the expense and responsibility that ownership involves. We offer you the opportunity to own a yacht without having to worry about the associated maintenance costs and responsibilities, whilst we also ensure you receive a good return on your investment. 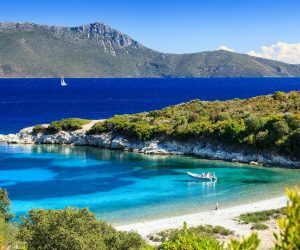 Our excellent Yacht Partnership Programme is currently available in Greece and we take full responsibility for all operating costs from maintenance and mooring to insurance and licensing. 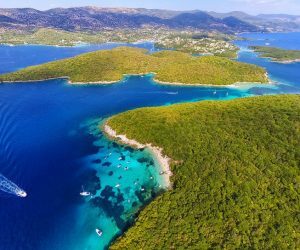 We fully understand you have a choice when looking at purchasing a yacht for charter management, so here are some sound reasons why you should consider purchasing your yacht through World Expeditions (Greece) – Seafarer. We are independent specialist business established in 1987 and 1995 and we think that you will enjoy being part of our yachting family, but there are some good practical and financial reasons too. We pass on trade discounts on the purchase price of the yacht to you meaning you will not find better value. 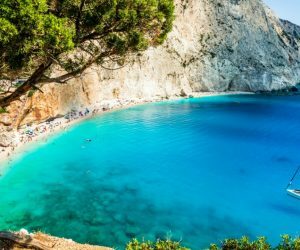 Yachts can be based in Lefkas in Greece and you have full title. We will handle the delivery, commissioning and licensing and all the bureaucracy involved at no extra cost. Yachts include many “charter upgrades” that improve your yacht, and increase the resale value. We will look after your boat throughout the season and during the winter, being professionally maintained to a high standard and with a detailed maintenance and service record according to manufacturer’s guidelines. Most of the charter use of your yacht will be on flotilla, meaning that she will be under the supervision of our expert lead crews, with resulting less wear and tear. All flotilla and bareboat charterers are carefully screened and must be suitably experienced and qualified in order to be able to charter your yacht. The duration of the scheme is flexible to suit your plans and requirements and can be from 1 up to 10 years. You are allocated up to 6 weeks planned use May-October, plus unlimited last minute use and unlimited use between November and April (allowing time for maintenance). You can swap your entitlement with yachts in other areas. You can opt for a lower cost shared yacht ownership plan. Other yachts also available, prices shown correct at September 2018, prices may vary according to availability. 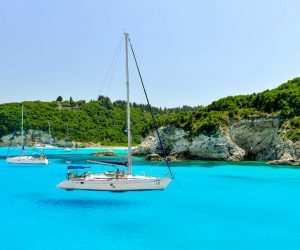 Yachts equipped to Greek and UK MCA charter standards. Finance packages are available with deposit from 30% of purchase price. We also offer well maintained pre–owned yachts for purchase and management. WORLD EXPEDITIONS incorporated in YACHT CRUISING HOLIDAYS 2018 CREATED BY HARTIS.